Annual Membership, Specify NEW or RENEWAL. 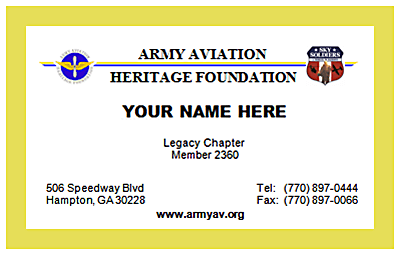 Complete our Membership Application Online or print the Membership PDF and mail/fax it in. Support AAHF! 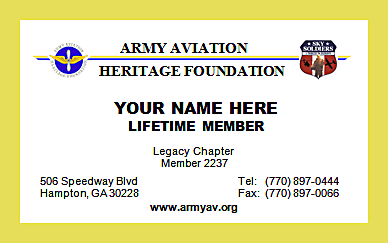 Join today to become part of Army Aviation Heritage! Upon successful processing, you will receive your Membership credentials within 2-3 weeks.